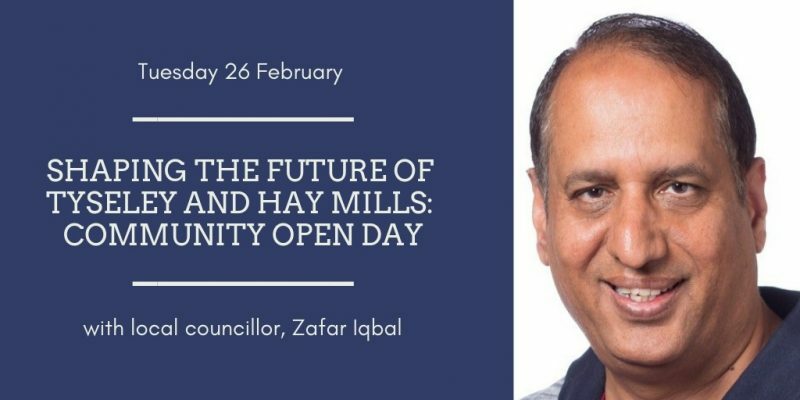 Join your local councillor, Zafar Iqbal alongside local stakeholders to find out what is happening in Tyseley and Hay Mills and share your thoughts about what needs to change in your area. At this community open day you will find out more about the exciting new developments in Tyseley that will bring jobs to the district and join in a discussion about making Tyseley and Hay Mills a destination. This event has been organised in partnership with the area ward plan for Tyseley and Hay Mills.